Johannes Kepler lived in a time of great astronomical and mathematical discovery. 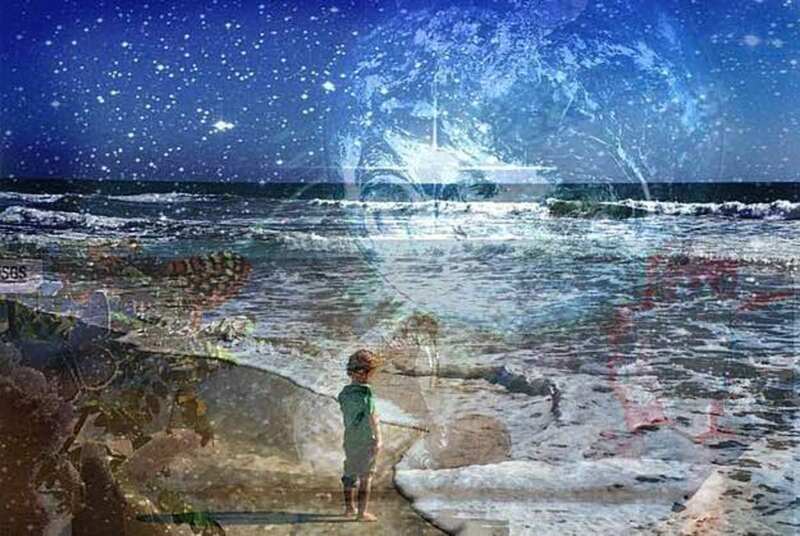 Telescopes were invented, asteroids were being discovered, observations of the heavens improved, and the precursors to calculus were in the works during his lifetime, leading to a deeper development of celestial mechanics. 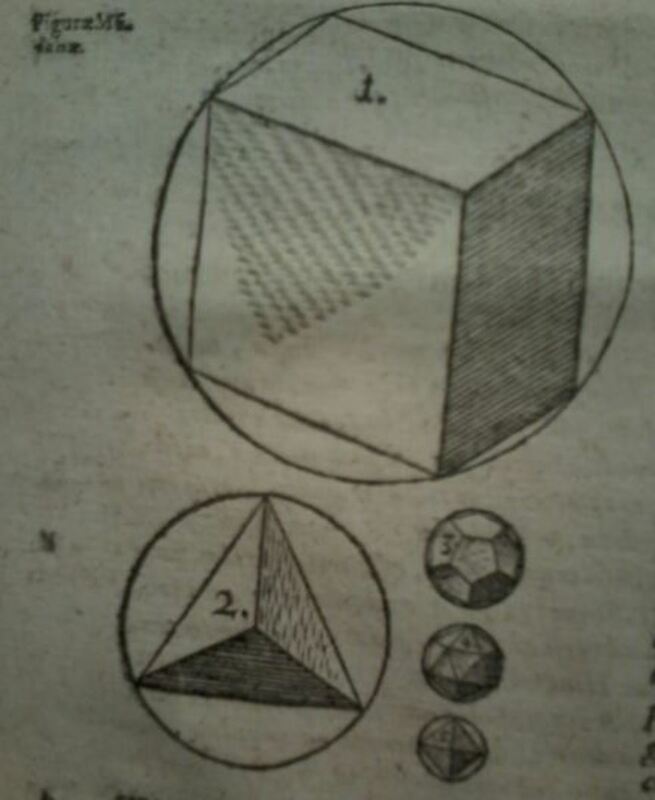 But Kepler himself made numerous contributions not only to astronomy but also in mathematics as well as philosophy. It is, however, his Three Planetary Laws that he is most remembered for and whose practicality has not been lost to this day. A picture from Mystery of the Cosmos showing the inscribed solids placed in the orbits of the planets. An early attempt at his explanation for the planetary orbits. 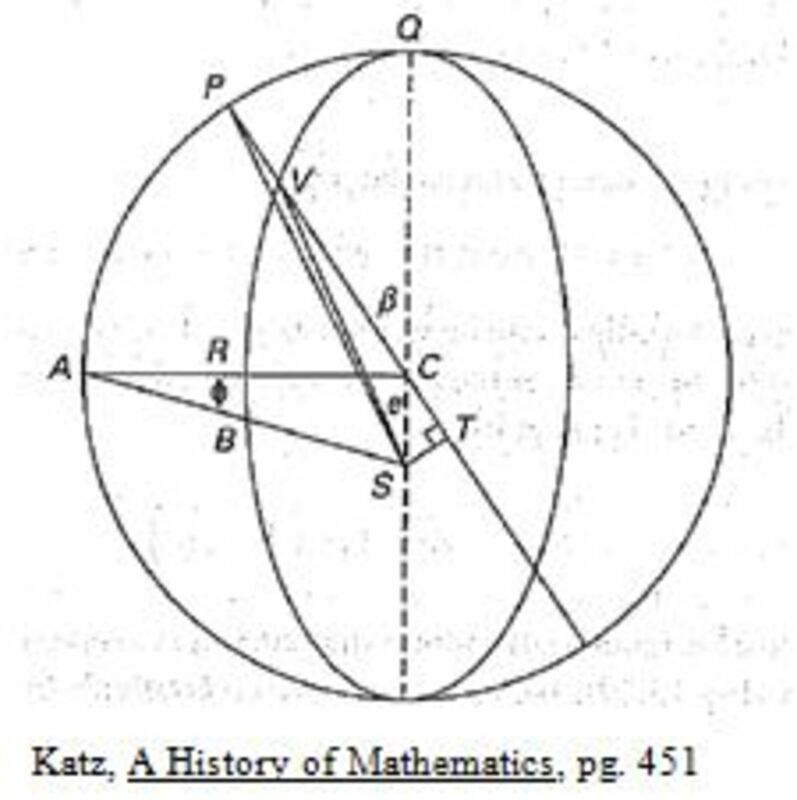 After leaving school, Kepler gave his orbit problem some thought and arrived at a mathematically beautiful, though incorrect, model. In his book Mystery of the Cosmos, he postulated that if you treat the moon as a satellite, a total of six planets remain. If the orbit of Saturn is the circumference of a sphere, he inscribed a cube inside the sphere and inside that cube inscribed a new sphere, whose circumference was treated as the orbit of Jupiter, seen on the upper right. Using this pattern with the remaining four regular solids that Euclid proofed in his Elements, Kepler had a tetrahedron between Jupiter and Mars, a dodecahedron between Mars and Earth, an icosahedron between Earth and Venus, and an octahedron between Venus and Mercury as seen to the lower right. 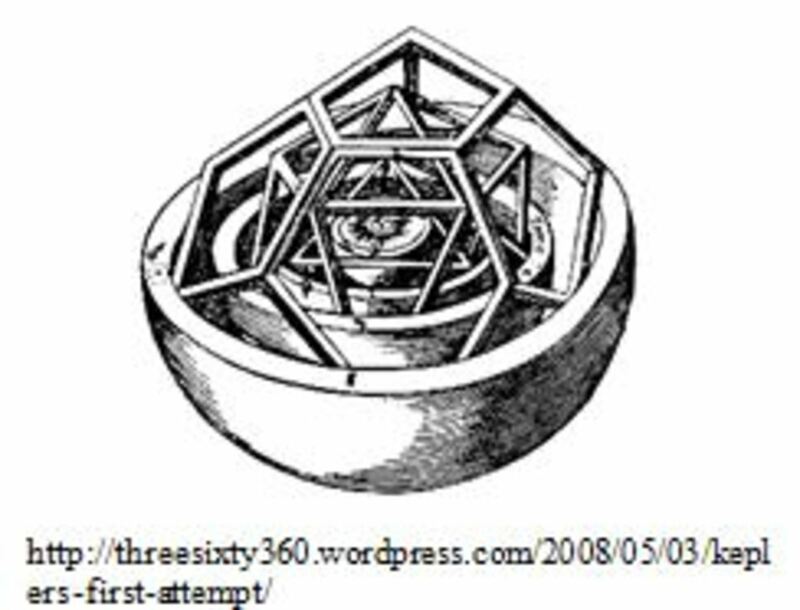 This made perfect sense to Kepler since God designed the Universe and geometry was an extension of His work, but the model contained a small error in the orbits still, something not fully explained in Mystery (Fields). 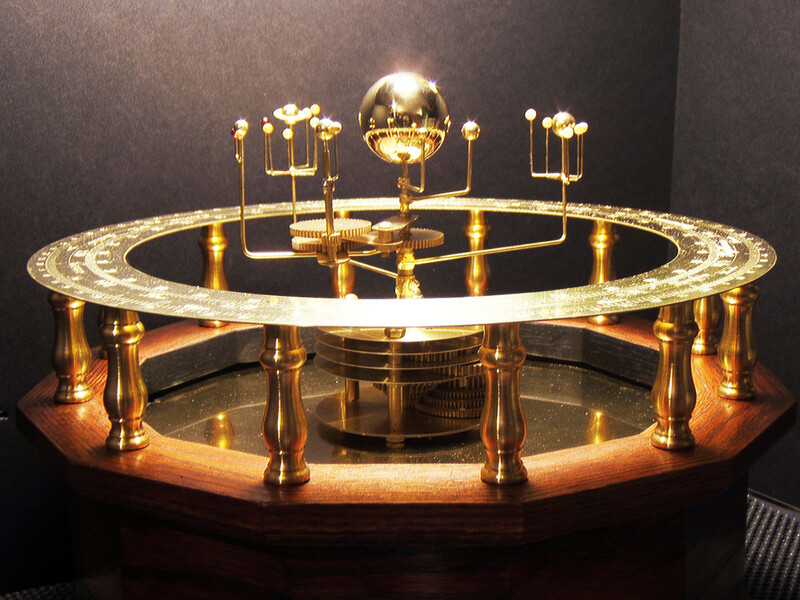 This model, one of the first defenses of the Copernican theory, was so impressive to Tycho Brahe that it got Kepler a job at his observatory. At the time, Tycho was working on the mathematical properties of the orbit of Mars, making tables upon tables of observations in hopes of uncovering its orbital mysteries (Fields). 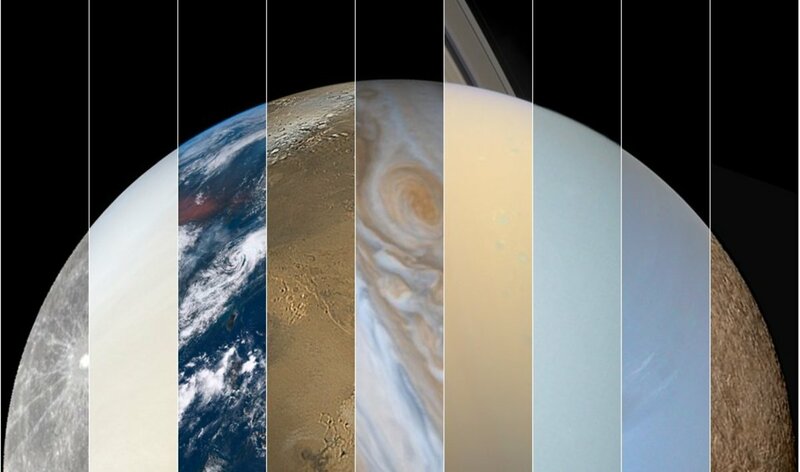 Mars was chosen for study because of (1) how fast it moves through its orbit, (2) how it is viewable without being near the Sun, and (3) its non-circular orbit being the most prominent of the known planets at the time (Davis). 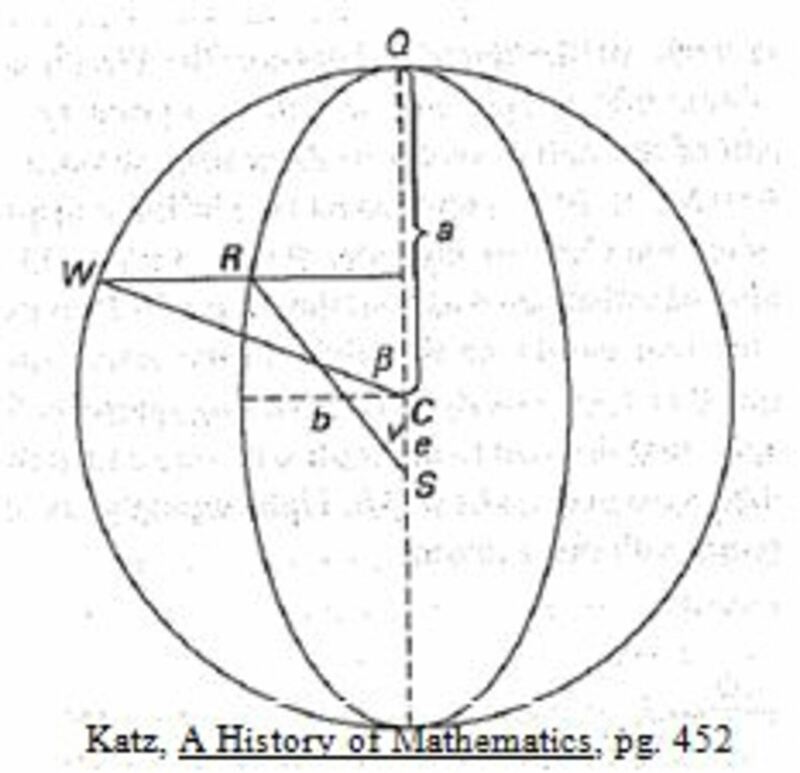 Once Tycho passed away, Kepler took over and eventually discovered that the orbit of Mars was not just non-circular but elliptical (his 1st Planetary Law) and that the area covered from the planet to the Sun in a certain timeframe was consistent no matter what that area might be (his 2nd Planetary Law). He eventually was able to extend these laws to the other planets and published it in Astronomia Nova in 1609 (Fields, Jaki 20). The same equation that he found empirically (Katz 452). After Kepler solved the Mars orbit problem, he began to focus on other areas of science. 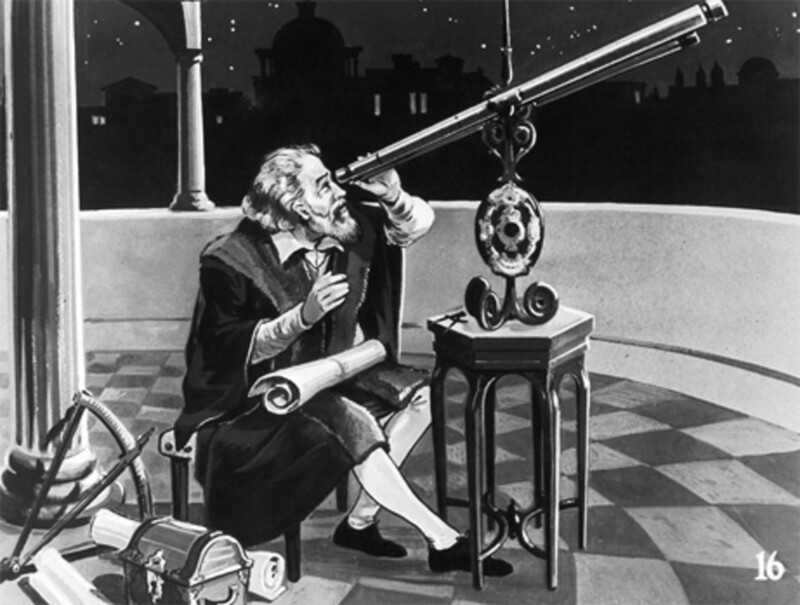 He did work on optics while he was waiting for Atronomica Nova to be published and created the standard telescope using two convex lenses, otherwise known as the refracting telescope. While at the wedding reception of his second wedding, he noticed that the volumes of the wine barrels were calculated by inserting a rob into the barrel and seeing how much of the rod was wet. Using Archemedian techniques, he uses indivisibles, a precursor to calculus, to solve the problem of their volumes and publishes his results in Nova Stereometria Doliorum (Fields). Eventually though, Kepler found his way back to the Copernican system. In 1619, he publishes Harmony of the World, which expands upon Mystery of the Cosmos. He proofs that there are only thirteen regular convex polyhedral and also states his 3rd planetary law, P2 = a3 ,where P is the period of the planet and a is the mean distance from the planet to the Sun. He also attempts to further demonstrate the musical properties of the ratios of the planetary orbits. In 1628, his astronomical tables are added to the Rudolphine Tables, as well as his demonstration of logarithms (usind Euclids Elements) that proved so accurate in their use for astronomy that they were the standard for years to come (Fields). It was through his use of logarithms that he most likely derived his third law, for if log(P) is plotted against log(a), the relation is clear (Dr. Stern). Kepler passes away November 15. 1630 in Regensburg (now Germany). He was buried at the local church, but as the Thirty Years War progressed, the church was destroyed and nothing remains of it or Kepler. However, Kepler and his contributions to science are his enduring legacy even if he has no tangible remains left on Earth. Through him, the Copernican system was given a proper defense and the mystery of planetary orbit shapes was solved. Davis, A E L. Kepler's Planetary Laws. October 2006. 9 March 2011 <http://www-history.mcs.st-and.ac.uk/HistTopics/Keplers_laws.html>. 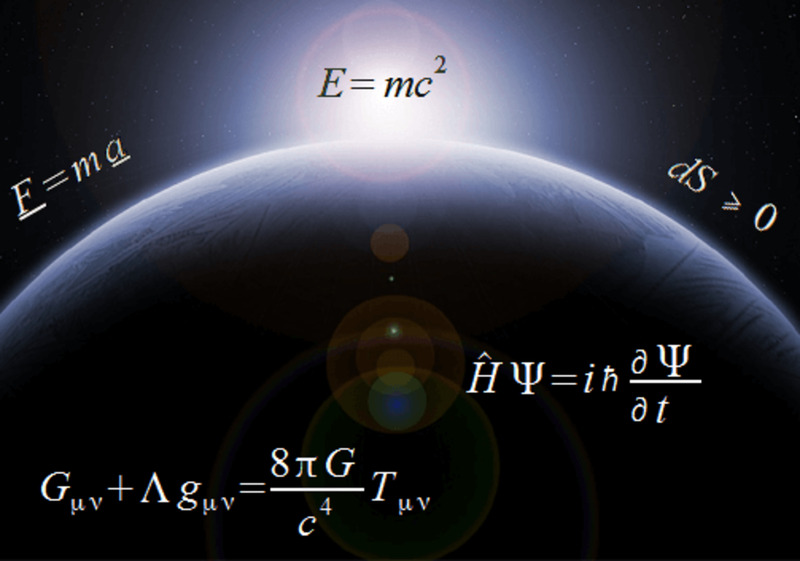 Dr. Stern, David P. Kepler and His Laws. 21 June 2010. 9 March 2011 http://www.phy6.org/stargaze/Skeplaws.htm. Fields, J.V. Kepler Biography. April 1999. 9 March 2011 http://www-history.mcs.st-and.ac.uk/Biographies/Kepler.html. Jaki, Stanley L. Planets and Planetarians: A History of Theories of the Origin of the Planetary Systems. John Wiley & Sons, Halstead Press: 1979. Print. 20. Katz, Victor. 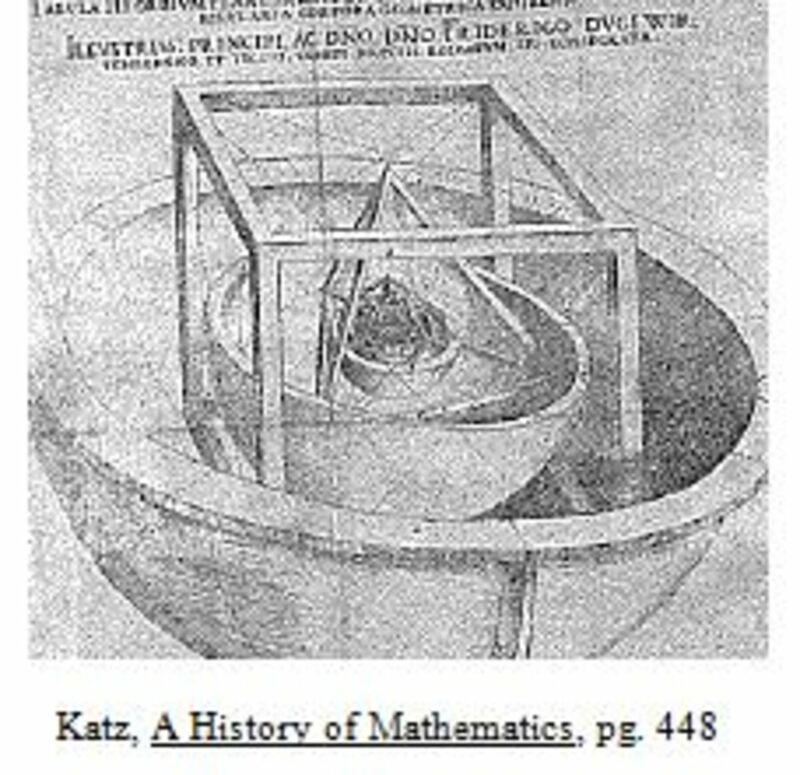 A History of Mathematics: An Introduction. Addison-Wesley: 2009. Print. 446-452. Though we all know how to use the Pythagorean Theorem, few know of the many proofs that accompany this theorem. Many of them have ancient and surprising origins. What is the Kepler Space Telescope? Known for the ability to find alien worlds, the Kepler Space Telescope has changed our way of thinking of the universe. But how was it built? 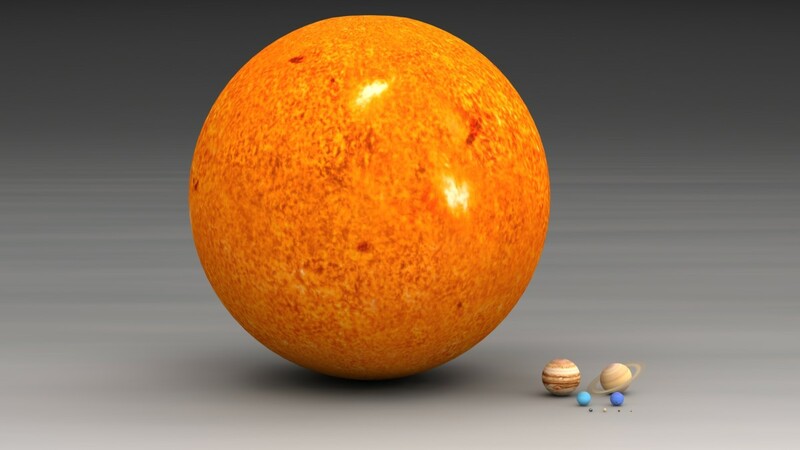 What Are Some Ancient Models of the Solar System?